Export growth was the primary driver of Australia's strong 3.1 per cent GDP growth for the first quarter 2018, as reported in Australian Bureau of Statistics data. "Growth in exports accounted for half the growth in GDP and reflected strength in exports of mining commodities," the bureau's chief economist Bruce Hockman told AAP. The mining sector's output grew 2.9 per cent, to 4.6 per cent, largely due to increases in coal, iron ore and LNG production. This fed through to the strongest increase in corporate profits over the past year, up 6 per cent in the March quarter, according to Hockman. Mining services and maintenance contractor, Monadelphous (ASX: MND) this week received a 5 per cent fair value estimate (FVE) upgrade from Morningstar equity analyst, Mark Taylor. Despite the share price remaining overvalued at $13.90, "we increase our forecast 5-year group revenue compound annual growth rate (CAGR) to 6.9 per cent, from 5.9 per cent", Taylor says. Taylor cited the "current buoyant commodity prices" as as key reason for this, including oil price strength - irrespective of recent declines - and a parallel rise in mineral commodities prices. "A lower Australian dollar/US Dollar exchange rate of 76 cents only assists," he says. Monadelphous reported increased demand for maintenance services and and in offshore oil and gas maintenance contracts in first-half 2018. It also reported growing contribution from renewables. "But overall, we anticipate revenue growth post fiscal 2018 to be modest, with maintenance expenditure in Australia a small fraction of that for mining and energy where the expenditure outlook remains more subdued post 2014 construction boom peaks. "The change captures among other things, our extending current buoyant commodity prices further out before to unchanged midcycle forecasts," Taylor says. He believes the no-moat company's shares remain materially overvalued, despite having pulled back around one-third from the $19.50 highs of November 2017 to the current level of around $13.90. "We think the price too generous, implying an unrealistic five-year revenue CAGR of 8.3 per cent at a midcycle EBITDA margin of 14 per cent versus 8.3 per cent actual for the three years to fiscal 2017, and our 7.8 forecast." BHP Billiton (ASX: BHP) also earned an FVE upgrade, in April, despite being overvalued by Morningstar's senior equity analyst covering commodities, Mathew Hodge. The mining conglomerate's FVE was increased to $23 from $22, again on the back of "stronger near-term commodity prices, particularly for iron ore, coal, and copper". "The more favourable prices see our fiscal 2018 and 2019 adjusted earnings estimates increase by 18 per cent to US$ 1.79 per share and 21 per cent to USD 1.52 per share respectively. However, our longer-term forecasts are little changed," Hodge says. Despite BHP having recently reduced its production guidance across petroleum, metallurgical coal and energy coal for fiscal 2018, he says rising prices have more than compensated. "However, we think the attractive forecast 2018 earnings and returns are fuelled by favourable commodity prices, underpinned by unsustainable growth in China's debt, and more recently trade unrest. "While trade sanctions may restrict global commodity supply in the near-term, longer-term those assets are productive and likely to continue to contribute," Hodge says. Liquified natural gas (LNG) also contributed to the rise in GDP. Woodside Petroleum's (ASX: WPL) LNG business holds a weighting of about 80 per cent within Morningstar's fair value estimate. Currently trading at $33.21, it holds a four-star rating (formerly "accumulate" in our previous rating system) with a $40 FVE, as at 23 April. Increased LNG production from Woodside's capacity expansions at its Wheatstone and Pluto trains have boosted output. LNG price increase expectations mean Morningstar "anticipates improved free cash flow for Woodside of US$ 1.2 billion in 2018 and US$ 2.3 billion in 2019," Taylor says. "That compares with USD$825 million in 2017 and is supportive of maintenance of the 80 per cent payout ratio for some considerable time yet." Santos (ASX: STO) also deserves a mention, despite a FVE downgrade in recent weeks following its rebuff of an acquisition by Harbour Energy. It still holds a Morningstar three-star rating and is undervalued at its current share price of about $6, versus a $6.30 FVE. Just under half of Morningstar's FVE estimate hinges on Santos's LNG projects that were only recently commissioned, Taylor says. Reflecting his positive outlook on the business, even assuming a lower outlook for Brent crude prices over the longer-term - directly linked with natural gas prices - he anticipates a reinstatement of dividends from this year. "We conservatively assume a 40 per cent payout ratio, which on our Brent forecasts for US $70 in 2018 and US$ 66.50 in 2019, and the current $6.90 share price, translates to handy if not earth-shattering yields of 2.5 per cent and 2.6 per cent." 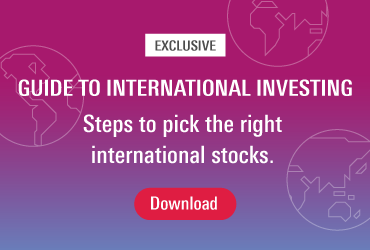 • What is the best way to invest in global equities? • How can Blockchain be used?